From here its just a wee drive to Inverness for some free time to explore the City and have some lunch then its onto the The Clava Cairns, They are a fascinating and historical burial tombs that date back almost 4000yrs. A Cairn is a type of circular chamber tomb from the Bronze Age, from here the next stop is Culloden. Culloden Battlefield has been restored as close as possible to how it was when the battle took place in April 1746. There is a fantastic state of the art visitors centre, where we have time to take in over 250yrs of history and artefacts since the Battle. 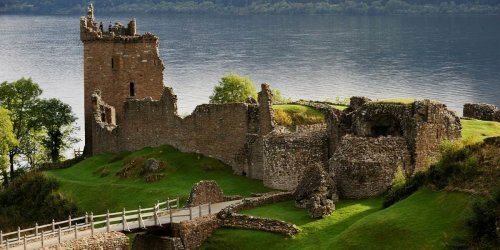 Once you have disembarked, for your day tour of Loch Ness, Urquhart Castle and Culloden Battlefield, your guide will be waiting for you, and then, your day, your way, will begin. 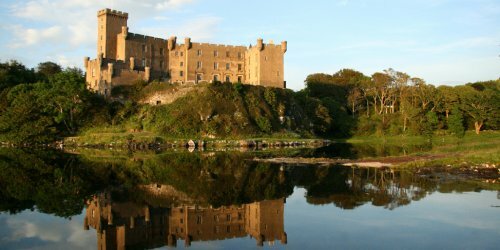 We will take you, firstly, to the world famous and mysterious Loch Ness and Urquhart Castle. Loch Ness is a large, deep, freshwater loch in our Highlands, extending to nearly 23 miles (37 km) southwest of Inverness. The height of the Loch is 52 ft (16 m) above sea level. Loch Ness is best known as the home of the Loch Ness Monster, also known affectionately as "Nessie". 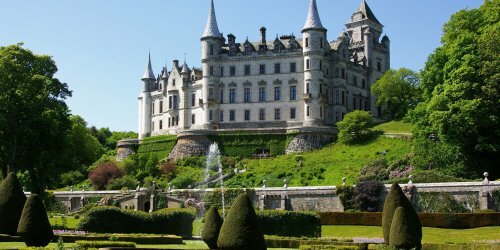 When we leave here, we will be travelling towards Inverness for lunch. The choice for our lunch stop, is either Inverness itself, or the gorgeous setting of The Dores Inn, sitting on the shore at the head of Loch Ness. After lunch we will then travel back in time, 5000yrs to the burial tombs of Clava Cairns and the Standing Stones. Clava Cairns are a well-preserved Bronze Age cemetery complex of passage graves, ring cairns, kerb cairns and standing stones in a beautiful setting. And then, onto the site of, quite arguably the most famous of battles that has ever taken place in Britain, the Battle of Culloden -16th April 1746. This is the final chapter in the Jacobite Rising, (latin-Jacobus-follower of James, The Scottish King). It is filled with, backstabbing, betrayals and broken promises. Contrary to beliefs, it wasn't just as cut and dried as Scotland 'v' England, but more like, the European Union versus Great Britain & Ireland. A new visitor centre has opened to the public, and it is much more sensitively designed, and is overlooking the main area of the battle. The new centre is home to a series of exhibition areas using state of the art techniques to help set the Battle of Culloden in context and bring it to life. These include a battle immersion film, a large animated battle table, and a rooftop viewing area. Visitors can then tour the battlefield itself with portable audiovisual guides which use geographical positioning software to tell you what took place in each particular area. From here, its just a wee journey back to your ship for 16.45.